Hammocks are often seen and used as media for summer, leisure, easy living and relaxation. A hammock is a sling that is made of netting, rope, or fabric suspended between two points or more, and are usually used for sleeping, resting or swinging. The sleeping pad is normally made from cloth panels, twine or thin ropes that are woven into a network and stretched between two firm points of anchor that could be trees or posts. A hammock can be used for different purposes such as for relaxation in your home or as lightweight beds that you can make use of easily on your camping trips. You could also use hammocks for your baby that is just learning to crawl. If you are at a crossroad concerning the best sleeping pad you can place on your hammock in order to enjoy pleasurable moments. This article will guide you and help you know what sleeping pads to choose, and how to know that they are the right sleeping pads. While it might seem that the comfortable surface of the sleeping pad is the most useful function it has, this is not true as it is also able to keep you warm throughout the night which is also an important role. In essence, sleeping pads have two major roles they play when you are using them for outdoor sleeping purposes and these include: Cushioning and Insulation. There are majorly three types of sleeping pads, and they are; air pads, self-inflating pads, and closed-cell foam pads. 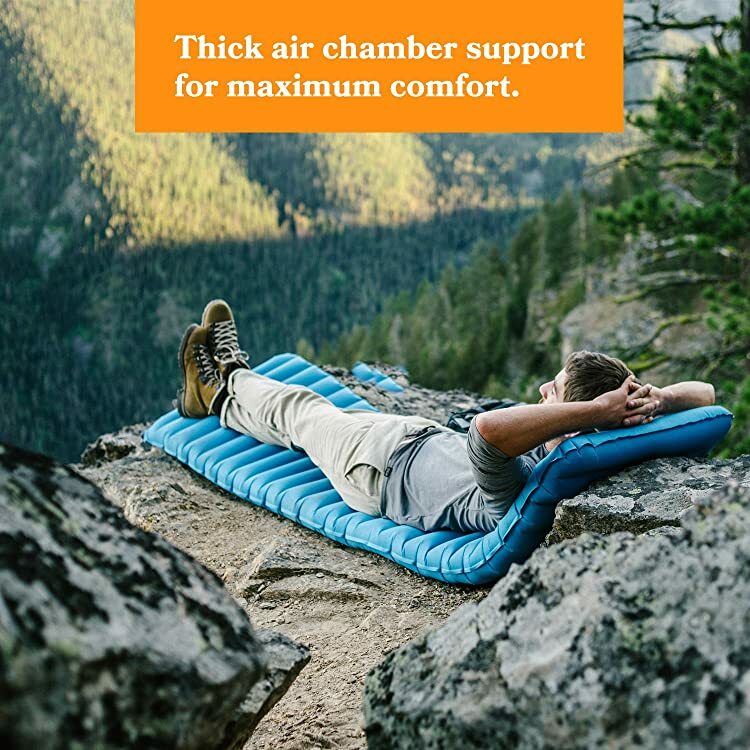 Air pads are extremely light sleeping pads that are ideal for backpacking. Most of these air pads contain materials for insulative and reflective purposes in order to increase warmth, however, you will need to inflate them. Some models, however, come with a built-in hand pump, while yet others (often sold separately) offer an external hand pump. Self-inflating pads are a combination of the closed-cell foam pads and the air pads. This type of pads requires you to open the valve of the pad through which air rushes into the pad filling it up automatically. Some models are designed for backpacking while others are designed for camping. This involves you deciding on the activity you are going to use the sleeping pad for, ranging from backpacking to winter camping and car camping. This involves you deciding the features or properties of the sleeping pad that is most important to you, and this range from its weight to insulation, cushioning and more. Before you make your decision, it is essential that you try these sleeping pads out in person. Pay a visit to your local store and lay on a few different pads, on your back, side or any other way you find very comfortable. Doing this will let you have an idea of what feels comfortable and suitable for you. It will also let you know about the size when it is packed and the weight. As mentioned earlier, sleeping pads are used in several situations and for several purposes. It can be used indoors, for resting or for allowing your baby to learn to crawl. It can also be used outdoors for your camping trips (winter camping, summer camping or car camping), backpacking or hiking and the likes. 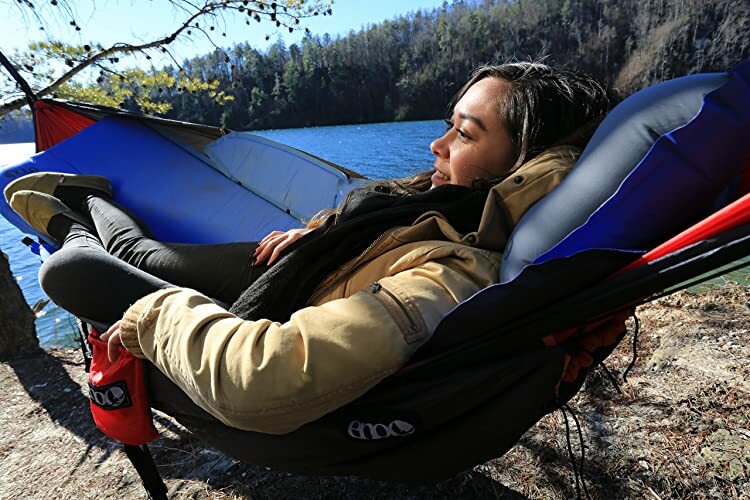 Sleeping pads provide you with padding on your hammock so that you are comfortable and safe and it also provides you with thermal insulation. Irrespective of the type of sleeping pad you decide to purchase i.e. the air pad, closed-cell foam pad or the self-inflating pad, one thing the pads have in common is their need for air, for them to be to provide cushion and insulation. The thermal insulation component of the sleeping pad depends on its R-value. The R-Value refers to the measure of the rate at which an item or object insulates heat. The R-Value of a sleeping pad which is rated between 1 and 10 depicts the ability of the sleeping pad to resist the transfer of heat and keep you warm. 1 depicts the lowest ability of the sleeping pad to insulate, while 10 is the greatest ability of the sleeping pad to resist the transfer of heat from your body. Sleeping pads vary in their weight, with ultralight pads being the lightest, excellent for backpacking and also being the most expensive. Choosing a tapered or mummy shaped pad helps to reduce volume and at the same time save weight which translates to smaller packing for you. If you are going backpacking with a partner, you might need a two-person lightweight sleeping pad, which will help you save ounces in weight. Going at a minimum rate, your shoulders and hips ought to fit onto a pad. The Regular sleeping pad which is typically 72 inches long and the Long sleeping pad, with a typical length of 78 inches in length will help you insulate your legs and feet, which is an added feature during winter or chilly seasons. The short sleeping pad which is usually 47 or 48 inches long, weighs less than the aforementioned lengths and can be packed smaller. Even during summer, insulation is essential if you are to get a good night's sleep, as you will lose some of your body heat to the ground. In a bid to counteract this, a good number of self-inflating and air sleeping pads now feature a layer of synthetic insulation in them. Some sleeping pads also offer down insulation which can be especially useful when sleeping in extremely cold situations. Thicker pads usually have higher R-Values, while the R-Value of average summer camping pads is usually around 3 or more. However, campers who sleep cold may want to select a pad with an R-Value of nothing less than 4. 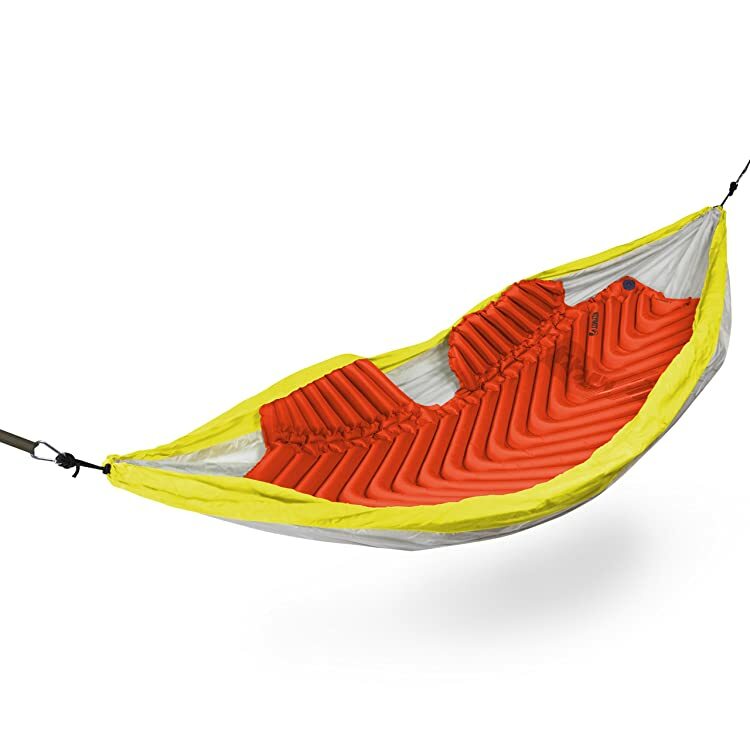 Some sleeping pads possess large side baffles that are known as "rails." The function or these rails is to cradle you and prevent you from rolling off the pad during sleep. This feature is excellent for children, especially babies. Some other pads feature a pillow baffle that is meant for your head, however, this design is based majorly on the preference of the individual. Some sleeping pads have high volume inflation and deflation valve which enhances the speed at which air flows in and out of the pad, while some pads have larger openings in the neck that allows quick inflation with fewer breaths. If you are the type that sleeps restlessly, you should look for a pad that has a textured or brushed fabric surface as it helps prevent you and your sleeping pad from sliding off from the hammock during the night. It is also quieter. This is the final factor to watch out for and this involves the width of the sleeping pad. Almost all sleeping pads offer an average width of 20 inches, however, a large person, who also tend to roll around a lot may require a width of 25 inches or more. What is the R-Value of Sleeping Pads? The higher the R-Value, the warmer the sleeping pad. Sleeping Pads with R-Values of 0-2 will be excellent for warm weather. R-Values of 2-4 are excellent for most 3-season conditions for backpacking. Sleeping Pads are indeed necessary and they add comfort and Insulation. The comfortability of sleeping pads depends on quite a number of features of the sleeping pads, ranging from the length, width, weight, surface, Insulation, and R-Value amidst other factors.